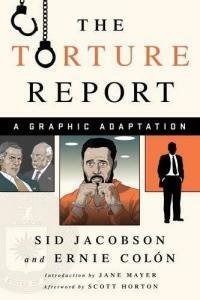 The Torture Report : : a Graphic Adaptation / Sid Jacobson and Ernie Colón ; Introduction by Jane Mayer ; Afterword by Scott Horton. Introduction by Jane Mayer -- Who's Who -- Foreword -- Committee's Findings and Conclusions -- Executive Summary, Background On Committee Study -- Overall History and Operation of the CIA's Detention and Interrogation Program -- Detention of Abu Zubaydah and the Development of EITS -- Detention and Interrogation of Ridha Al-Najjar -- Detention and Death of Gul Rahman -- Detention and Interrogation of Abd Al-Rahim Al-Nashiri -- Detention and Interrogation of Ramzi Bin Al-Shibh -- Detention and Interrogation of Khalid Shaykh Mohammad -- Growth of the CIA's Detention and Interrogation Program -- End of the CIA's Detention and Interrogation Program -- Effectiveness of the CIA's EITS -- Overview of CIA Representations to the Media While Program was Classified -- Review of CIA Representations to the Department of Justice -- Review of CIA Representations to Congress -- CIA Destruction of Interrogation Videos -- Examples of Inaccurate Testimony to the SSCI Part I -- Aftermath of CIA Destruction of Interrogation Videos -- Examples of Inaccurate Testimony to the SSCI Part II -- Afterword by Scott Horton -- Notes -- Acknowledgments. "On December 9, 2014, the Senate Select Committee on Intelligence released a report that strongly condemned the CIA for its secret and brutal use of torture in the treatment of prisoners captured in the 'war on terror' during the George W. Bush administration. This deeply researched and fully documented investigation caused monumental controversy, interest, and concern, and starkly highlighted both how ineffective the program was as well as the lengths to which the CIA had gone to conceal it. In The Torture Report, Sid Jacobson and Ernie Colón use their celebrated graphic-storytelling abilities to make the damning report accessible, finally allowing Americans to lift the veil and fully understand the crimes committed by the CIA." --cover page . Description: xi, 125 pages : illustrations; 23 cm. Torture -- Government policy -- United States. Prisoners of war -- Abuse of -- United States. Political prisoners -- Abuse of -- United States.